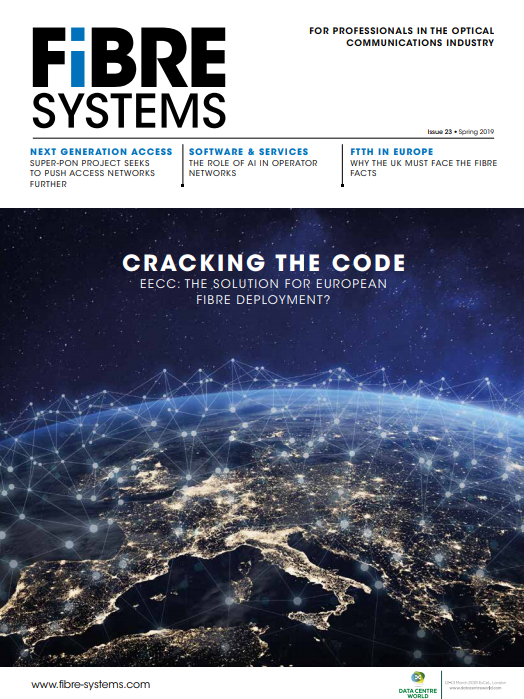 CableLabs has published two new specifications to ‘dramatically increase’ capacity of the fibre access network with point-to-point coherent optics technology, allowing for 100Gb/s per wavelength. Using amplitude, phase, and polarisation to enable much higher fibre capacities, coherent optics can help to improve streaming, video conferencing, file uploads and downloads and future usage needs for technologies such as virtual and augmented reality, and by gaining more capacity from existing fibres, the need to lay more can be eliminated. A central European cable and satellite operator has successfully completed the testing of a hybrid last-mile broadband solution combining Iskratel’s GPON technology and Teleste’s DOCSIS-based mini-CMTS. Ciena’s GeoMesh Extreme open network architecture with high-density 100G transponders has been selected to enhance two submarine networks in the Caucasus and Latin America regions. As sole owner of the Black Sea submarine cable, Caucasus Online provides critical services in regional communications, acting as a major gateway for internet traffic from Europe to South Caucasus and the Caspian region. Brazilian carrier Eletronet has chosen Ciena’s converged packet optical platform to launch new wavelength services across its national backbone network for wholesale, internet service providers (ISPs) and webscale companies.